We headed down Friday afternoon to Disney, and headed straight to the Expo. We heard that there were only 5,000 runners, but figured there would still be crowds. We were so surprised when we parked in the 2nd row at ESPN’s Wide World of Sports. We headed into the Expo, which was held in the Baseball stadium, which is something new to us. It was a beautiful day outside and a great location. You simply just walked in, picked up your bib and t-shirt, and visited with the few vendors that were there. 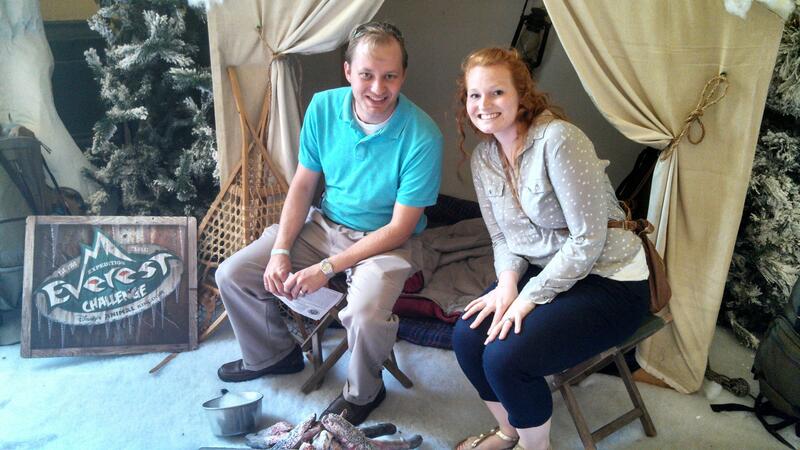 Warming up by the camp fire, before we began Expedition Everest! 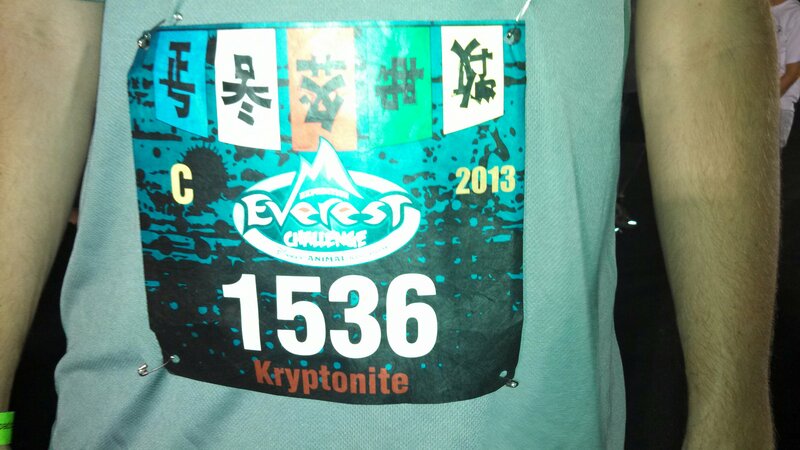 The challenge could have been completed as a team, so my husband and I were Team Kryptonite! 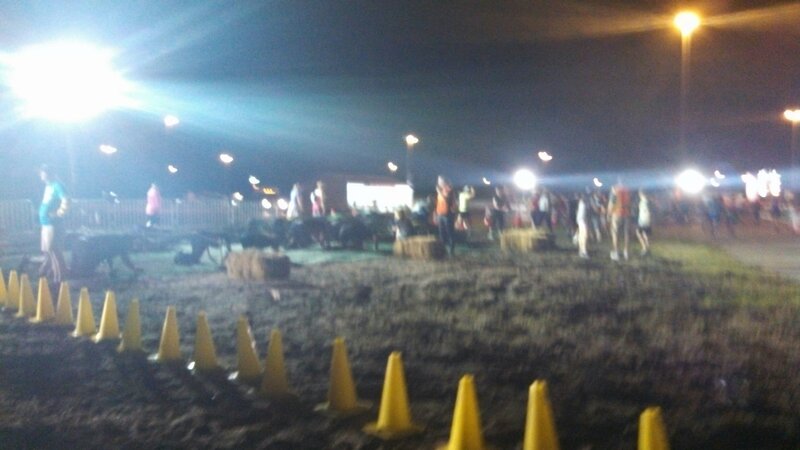 It began promptly right at 10pm, and it was broken up into about 8 corrals. Because of the certain challenges, there was 6 minutes in between each corral. The actual race was a 5k with 3 challenges. You loop through Animal Kingdom, but then you do a good mile through the backlot. 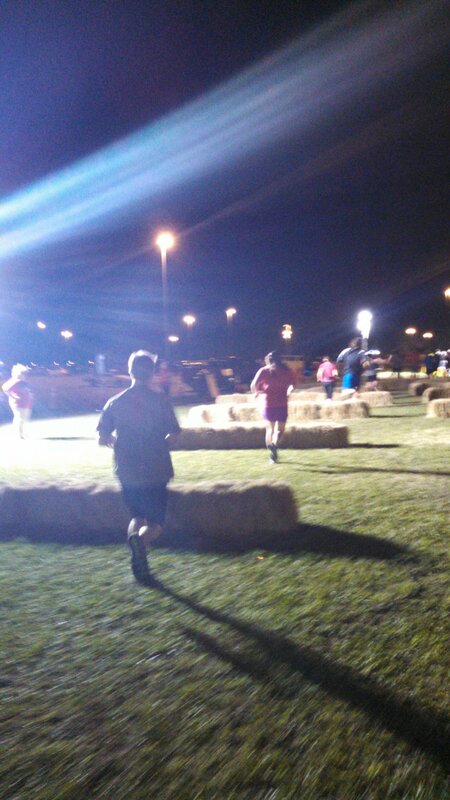 Challenge #1: Jumping over multiple hay stacks. 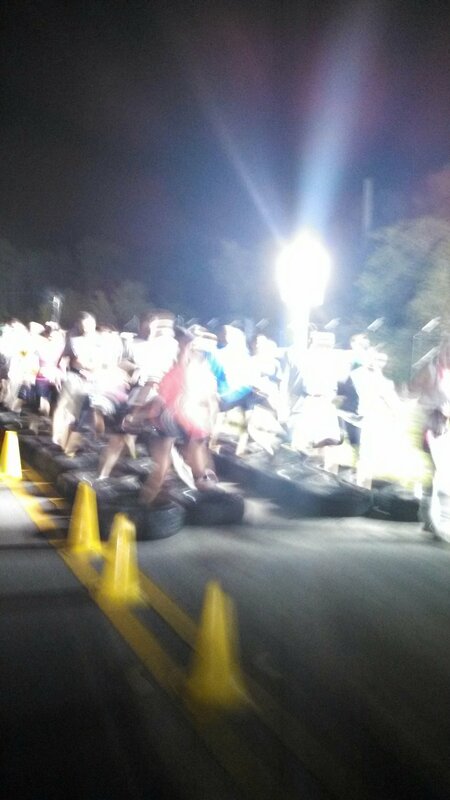 Challenge #2: Running through tires. Challenge #3: Crawling under a low net. So we finished the 5k……AND then we had to start the scavenger hunt. We figured this can’t be this hard, because again, there were 9 year olds participating! We were definitely surprised, when we both were stumped immediately by the 1st clue….and then the 3rd clue…and then the 4th clue, and then the last clue was super hard! Everyone was sitting on the ground and trying to figure it out. We finally figured it out and headed to the finish line. I think someone told us the scavenger hunt was another 2 miles, and it actually took us a little bit longer because of the last clue. 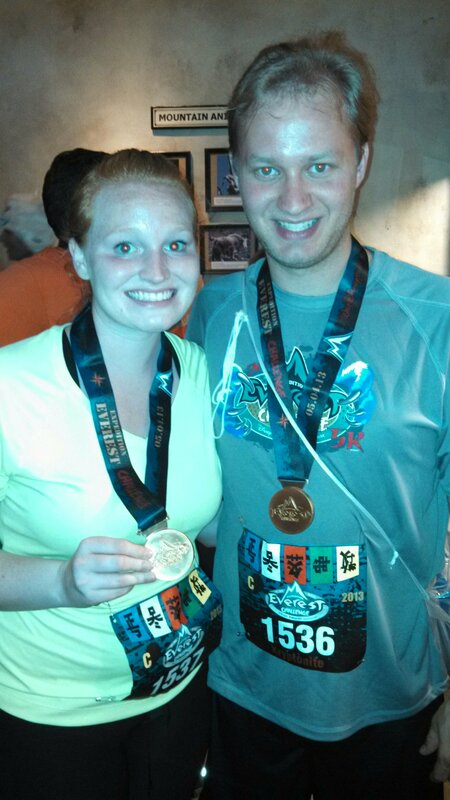 We finally reached the finish line and received out medals! After the race we grabbed some grub, and then headed to ride Everest and few of the other rides that were open. We also decided to ride the water rides, which led to us getting soaked:) Bonus points to my husband for making me bring an extra shirt. By 2am, we had rode all of the rides, and some we did multiple times. We headed to the buses and got to our hotel in no time! Overall thoughts, were that it was a great race. However, I think we will not be doing it in the future unless I have a 9 year old child to do it with me:) I loved that it was not crowded, and loved that it highlighted Animal Kingdom, which most of the time gets shafted. BUT the clues were too hard for a fun race, and the course could have been a little bit better.